Unaffected, at least superficially, by the partial government shutdown, is the Multnomah County Library system. Portlanders prize their public library infrastructure and it does offer some gems, such as this maker space in the Rockwood neighborhood. I drove out there on Sunday for some free assistance with my 3D printing project: to create three sizes of S module (S, S phi up, and S phi down). 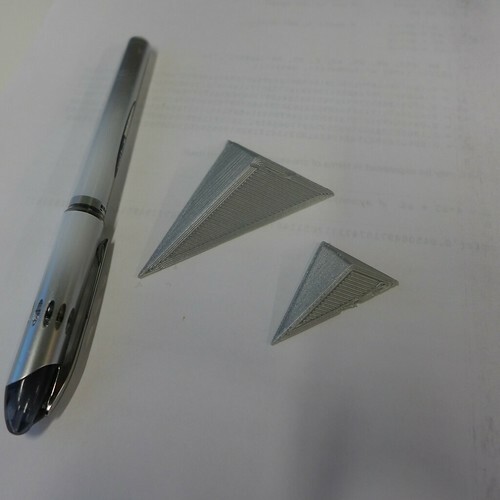 Starting with a professionally developed CAD file donated by a Flextegrity developer, we printed a left-handed S-module shell + lid, at 50% scale, as the first 3D printer we tried would not have been able to accommodate the 100% scale version. 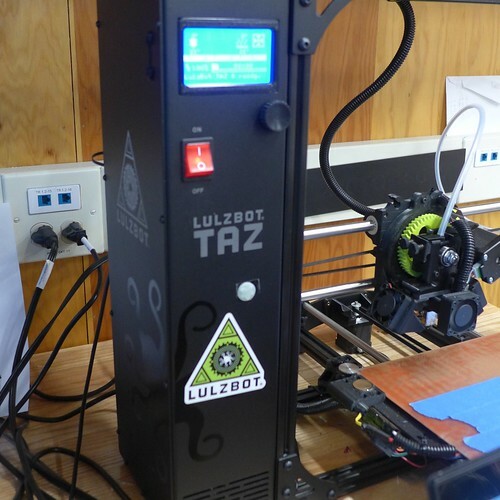 Then, even after switching to a Lulzbot Taz with a bigger bed, we stuck with 50% as the home position. From there, phi down is about 30.9% (50% times 0.618) while phi up is about 80.9% (50% times 1.618) of the original size. 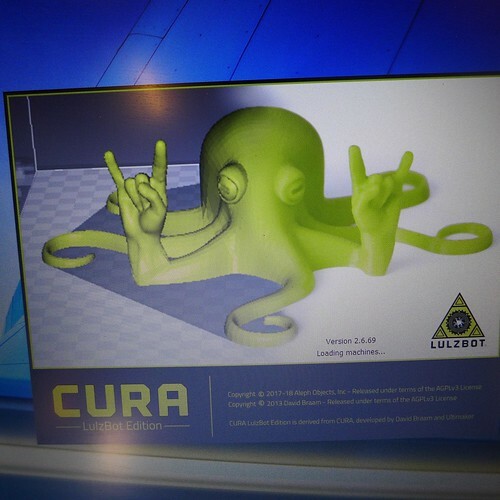 As the Youtubes explained, I'd be going from STL files to slicer software such as Cura, which would create the route for the nozzle to squirt its goo. The smaller Lulzbot was loaded with glow-in-the-dark filament, which might've been cool, however I was happy to go with the silver metallic look and the bigger bed. In case you're hazy about the so-called "S module", that's a tetrahedron defined in Synergetics: Explorations in the Geometry of Thinking by R. Buckminster Fuller, which occupies a corner in American Literature.